This was prompted by their enthusiasm for the work being made around them, coupled with their frustration at the lack of history, context or platform given to such work. Founded in 2012, 100 Archive is a platform for contemporary visual communication that exists to present and discuss work made all over Ireland and by Irish designers overseas. Core to this activity is the creation of an annual selection of 100 projects worthy of discussion, presentation and preservation. 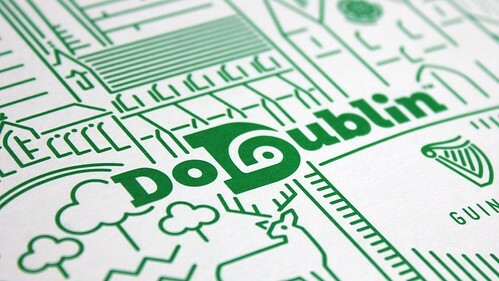 Identity design for Dublin-based sightseeing company DoDublin, designed by Simon Richards and Muireann McNulty of the RichardsDee design studio. Illustration by Emma Wilson. 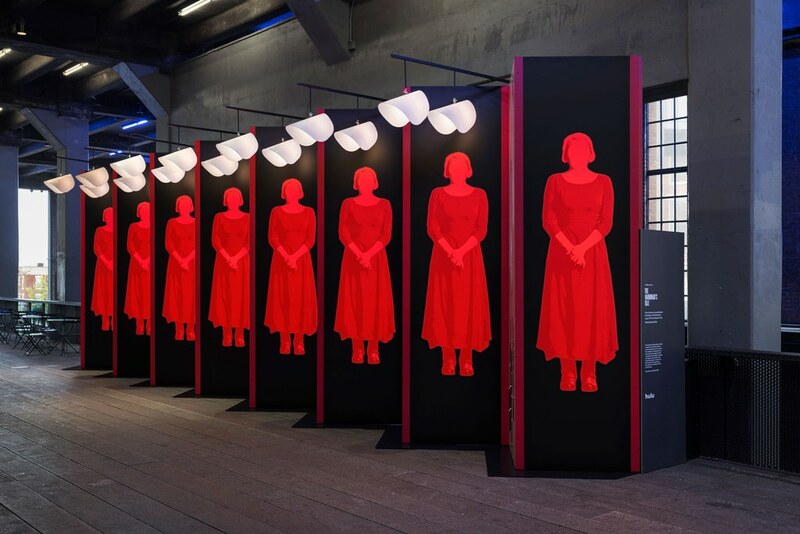 Top: An interactive public art installation for The Handmaid’s Tale, designed by Irish-born Rory Simms at Pentagram NYC. All works shown were selected for the 100 Archive 2017. An organisation with a figure in the title begs for a little statistical analysis, so I recently ran some of the numbers. In six short years 100archive.com has gathered more than 1500 projects made since 2010, submitted by 230-plus designers and credited to many more. Design is a collaborative practice, so 100 Archive insists on credit being given to all the individual designers involved – not just the studios responsible – as well as any other people who contributed to the process. Each year’s archive selection tends to feature the work of 90 or more designers, with the majority of those based in Dublin (in 2017 about 70 per cent) and increasing numbers of submissions coming from designers in other parts of Ireland and other parts of the world. Attracting more work from beyond the capital in coming years is a priority, as is improving the gender ratio (currently at around two male designers to every one female featured in the annual selections). 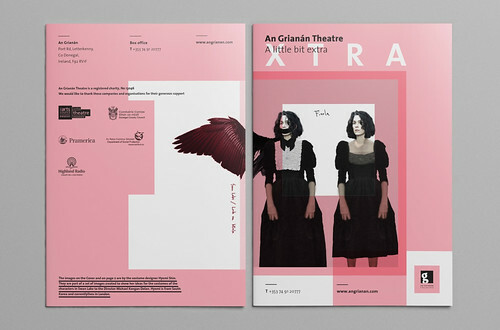 A Little Bit Extra, a publication for An Grianán Theatre designed by Donegal-based designer Daniel O’Donoghue of ODDesign. But here’s the thing: we actually let a fair amount of control over the selection process away, by virtue of a pretty innovative way of collecting design: we don’t have an acquisition policy, nor a small team of curators making decisions on what is valuable and what is not. Rather, we conduct an annual open call, inviting designers connected to Ireland to submit any work completed in the previous twelve months that they consider interesting, inventive, beautiful, useful or reflective of life today. This is peer-reviewed by two panels of selectors – a group of practitioners, educators and commissioners – and 100 projects rise to the surface. This means that we get a varied range of work in the annual selection from designers at all career stages working with clients of all kinds. And it also means that the selection can be surprising when revealed, sometimes even to those doing the selecting. 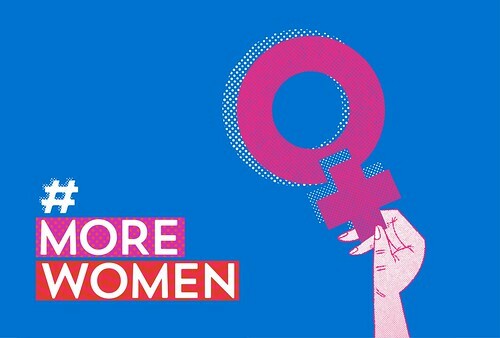 The #morewomen campaign to support more women in Irish politics, designed by Ruth Martin and Paula McEntee at Red Dog in Dublin. The process makes it less a definitive ‘Best of’ and more a snapshot of design and life in any given year. Not that quality doesn’t play a role – we don’t have a single selector who doesn’t consider quality, whatever their definition, when viewing the work – but this isn’t another awards scheme. It’s a new way to present design, contextualise it, benchmark it and hopefully solidify the community making it. It is a jumping-off point for conversation and critique for those of us already part of the design world, and a route in for those not yet engaged. And it immediately forces you to consider a piece of work, a designer’s portfolio or a studio’s approach within a wider context rather than in isolation. You see work from throughout the year, in different media for different client contexts, and from around Ireland and around the globe, side by side. On the subject of global, there is no part of Irish history or culture that can be chronicled without discussing the diaspora. There are Irish designers working in more than 30 countries worldwide registered on 100 Archive at present. 100 Archive presents the work of these practitioners alongside those based at home, knowing that no story of Irish design would be complete without them. We also welcome those new(er) to Irish shores into our collections, too, even though inward migration hasn’t always been Ireland’s strongest suit. Lastly, we revel in the growing number of submissions made by designers based outside Dublin. Increasingly, I believe the sign of a burgeoning design culture is not the creation of brilliant work by lots of designers in the capital city, rather it is the increasing number of commissions that designers garner in our other cities and towns. Of course a design sector can thrive in a cosmopolitan European capital: it is when the local neighbourhood studio has a steady stream of work that you know clients and consumers understand the value of design. We often refer to the work of 100 Archive as actively ‘mapping the landscape’ of Irish design. (As we state on the homepage, ‘archive’ is a verb as well as a noun.) When we see these further flung parts of the landscape appear in the snapshot, it makes for a pretty picture indeed. 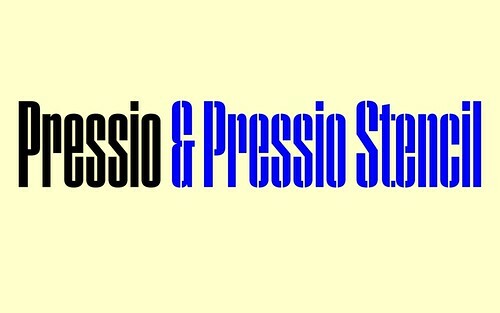 Pressio, a typeface designed by New York-born, Dublin-based designer Max Phillips at Signal Type Foundry.